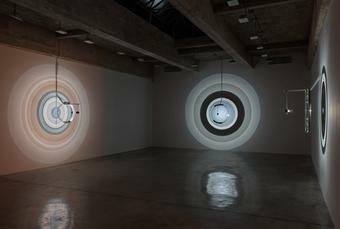 Concentric bands of delicately modulated light and shadow are projected onto the wall by a simple optical instrument. 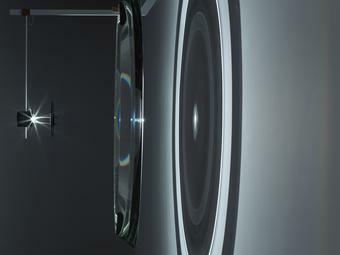 The central component of this instrument is a ring of bevelled glass. 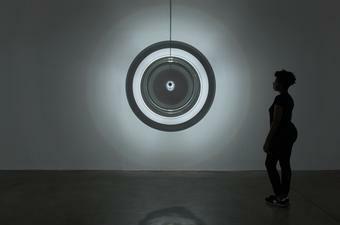 Originally part of a Fresnel lens, the glass was designed for use in a lighthouse to gather stray beams of light and project them at a consistent angle, thereby enhancing the light produced. 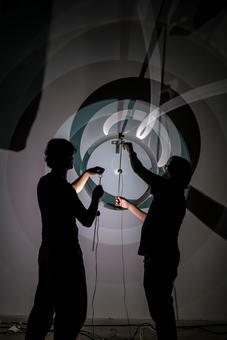 Here it is put to use to exploit the potential of using light as a malleable material. 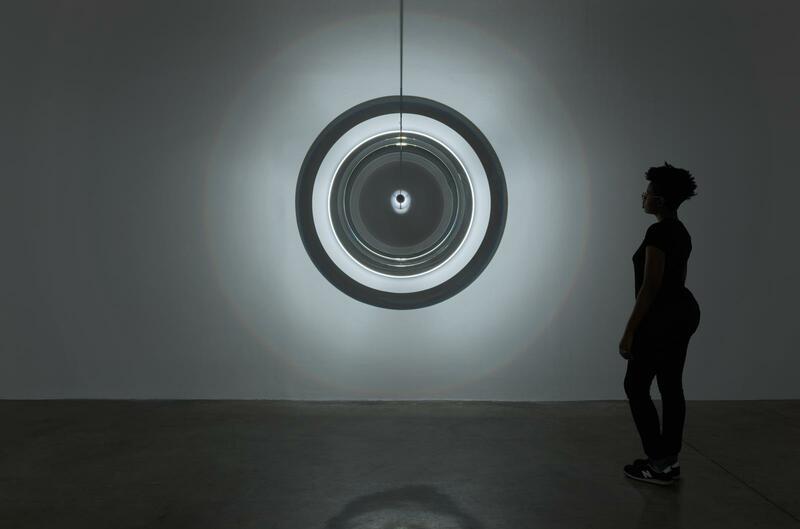 An LED, hung from the end of the steel bracket that supports the glass ring, shines light back towards the ring, which acts as a prism and paints pale bands of rainbow light on the wall.